Houses Gardens People: New Design Books! GOOD READ . 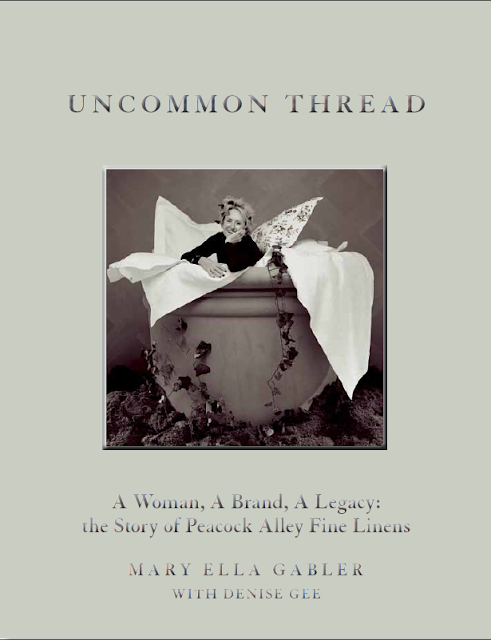 . . Mary Ella Gabler founded the luxury linen brand Peacock Alley 40 years ago in Dallas, and to celebrate, she's written a book about how it all came about. Uncommon Thread: a Woman, a Brand, a Legacy just came out and it's wonderful—I'm biased, of course—I helped edit the book. 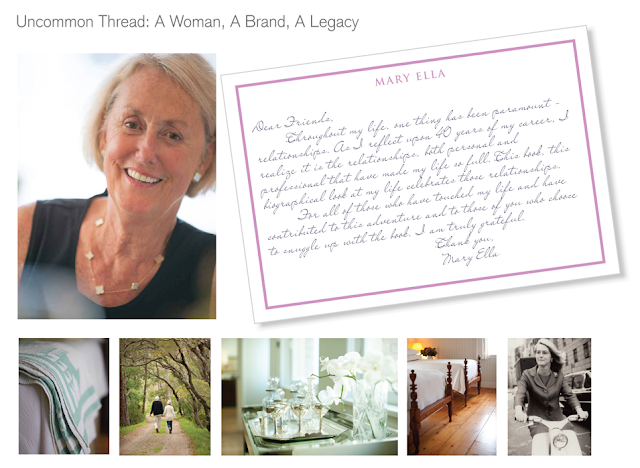 Writer Denise Gee did an amazing job of turning Mary Ella's life story into rich and nuanced prose, and it helps that Mary Ella has lived an extraordinary life. Much of the book is quite moving—this isn't a typical coffee table book—it's got substance as well as style. I particularly love the cover photo, which was taken in the early 1990s during a Peacock Alley ad campaign photo shoot, which included a large flower pot with a model inside, blooming out of the linens. When the shoot was over, the crew thought it would be fun to put Mary Ella in the flower pot. Photographer Scoggin Mayo snapped a picture and it was lost in Mayo's archives for more than 20 years—until now. The book is available at Peacock Alley stores and on their website, $40. Glamor Girl . . . Jan Showers' second book, Glamorous Retreats, hits stands today. I interviewed her for Modern Luxury Dallas' October issue about the book (you can read more about it there) and I loved hearing her talk about the process of writing the book. 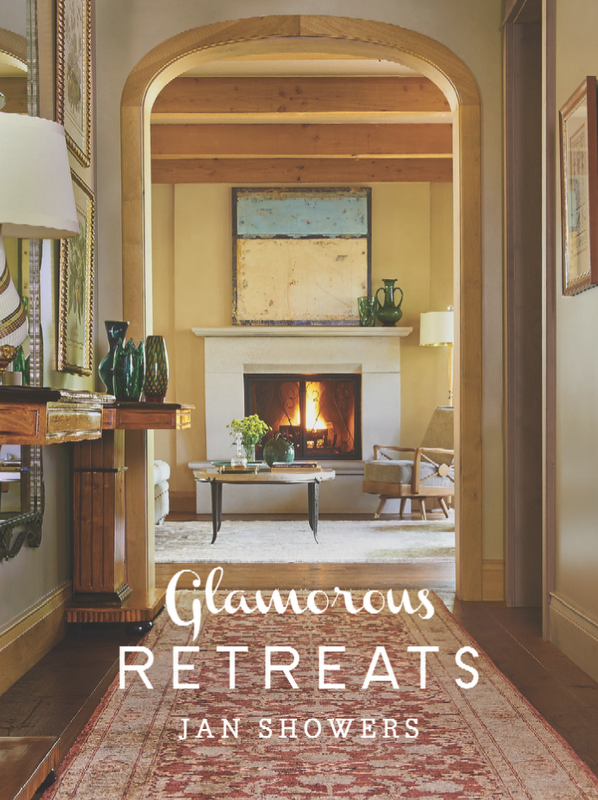 In fact, I'm a little jealous—she managed to get every homeowner to talk about their retreats in loving detail, something that's not always easy to get. Also, she hired photographer Jeff MacNamara to shoot every house, so the images are consistently beautiful. Jan went on every shoot, and her description of it all is priceless—when they weren't meeting up in airports hauling equipment, she and Jeff and Jan's husband Jim caravanned across the country in a specially-outfitted truck for Jeff's photography equipment. Each homeowner feted their arrival with dinners and celebrations—and of course the accommodations were luxurious, since Jan designed them. With locations like Nantucket and Palm Springs, it was more like a working vacation. $30, at bookstores everywhere.